SCUBA diving and snorkelling are amongst the fastest growing tourism sectors. The increasing numbers mean many more people are aware of the beauty and importance of the marine environment, but also puts a great strain on the coral. Not only is it damaged by inexperienced divers kicking it and pollution from boats and hotels, research also shows that coral is much more likely to become diseased in highly dived areas. 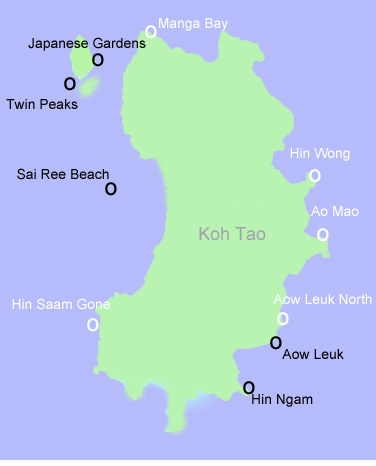 Australian and Thai researchers Joleah Lamb, James Trued, Srisakul Piromvaragornc and Bette Willis compared levels of coral diseases at high and low use dive sites around the area of Koh Tao in Thailand. The scientists surveyed 10,499 corals at ten dive sites around the island. They found twice as many healthy corals at little-dived sites (79%) as they did at the more popular dive areas (45%). They also found a three-fold increase in coral disease at high-use sites, as well as significant increases in sponge overgrowth, physical injury, tissue death from sediment and abnormally pigmented coral tissues. Injured corals were more susceptible to “skeletal eroding band disease” only at high use sites, suggesting that the extra stress placed on corals by lots of divers increases the development of disease. Perhaps even more worrying, divers kicking up sediment was “suffocating” coral tissue leading to its death. And this was was strongly associated with the prevalence of a devastating group of coral diseases – the so-called white syndromes – across all the sites studied. With better management the coral could be better protected. For example limiting the number of dive operators visiting each dive site at the same time and reducing the pollution entering the water from boats would reduce the stress on the corals. Joleah B. Lamb, James D. True, Srisakul Piromvaragorn, Bette L. Willis, Scuba diving damage and intensity of tourist activities increases coral disease prevalence, Biological Conservation, Volume 178, October 2014, Pages 88-96, ISSN 0006-3207, http://dx.doi.org/10.1016/j.biocon.2014.06.027.